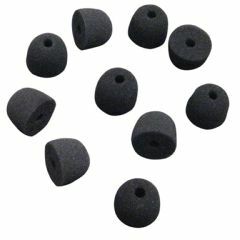 AllegroMedical.com presents The Sennheiser Foam Replacement Eartips. Replacement foam eartips for the Sennheiser Set 830 system, Sennheiser Set 840 system and Sennheiser Set 900 system. Package contains 5 pairs of eartips.